I don’t think I’ve ever been more embarrassed and frustrated to be a comic book fan, and it has absolutely nothing to do with the comic books themselves. I try my best to be a positive source of comic book information and conversation on the internet, because there certainly is no shortage of negativity, and I’d much rather share the books I love than complain about the ones I don’t. Unlike the past, comics have arguably never been more socially acceptable as they are now, and yet I find myself increasingly embarrassed to be associated with the comic book “fans” that populate the internet. This is not a commentary on comic book fandom as a whole (if the following words don’t apply to you, then don’t take offense) but the annoying subculture of online fans that are as annoying as they are ignorant. I understand the trepidation that can come with a favorite character being altered from the version that made you a fan of them in the first place. The thing about comics (and it’s shocking to me that anyone that has read comics for more than a few years continuously fails to grasp this) is that no changes are ever permanent. 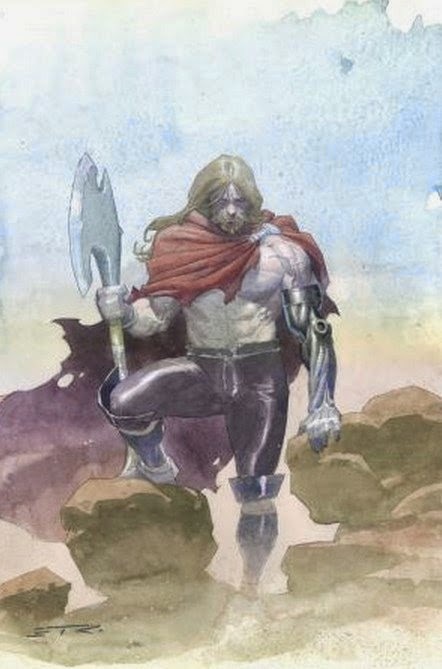 Thor will be a man before long, and Steve Rogers back in the red, white, and blue. 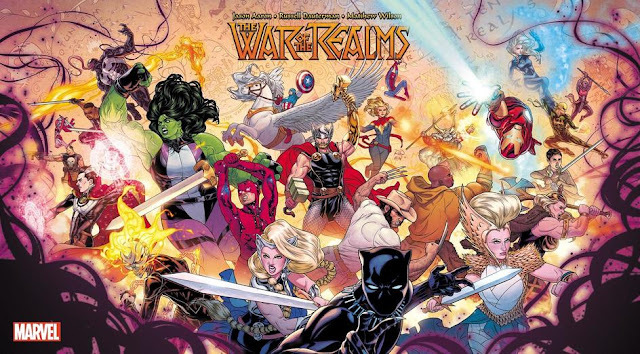 On the opposite side, would it really be so bad to have a woman and a black man as part of the unquestioned “big three” of the Avengers books? I happen to think these changes would arguably be better for the long-term viability and health of comic books. (It’s funny, many of the same commenters that are so irate about these changes, are the same people that complain that no change is ever permanent in comics.) The Avengers and the Justice League are a little too lily white to be accurate representations of it’s readership, and society as a whole. 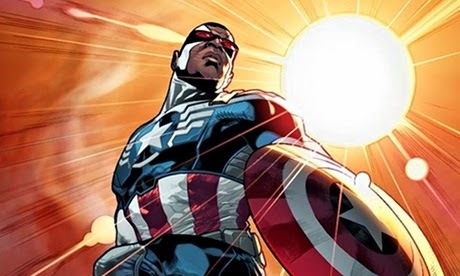 Another criticism often lobbed by the perpetually angry, is that Marvel and DC should just create brand new characters, as if it is that simple. The only characters created by Marvel or DC in the past 30 years that have proved viable enough to sustain an audience, are probably Deadpool and Lobo, and that’s about it. Cranky Editor Man will point out that Ben missed Cable, as if adding Cable to this short list makes a difference to his point. Fans have repeatedly shown they aren’t interested in supporting new characters, so publishers really have no alternative if they are truly going to try and portray the varied demographic that buys their products. (Never mind that writers and artists are going to save any truly inspired creations they have for comics they can own and profit off of, such as Hellboy, and they should.) That cannot be done if they continue to rely on the same all-white, all-male characters created, at minimum, 50 years ago. I know comic books can never be as great as they were when you were 10 years old, not many things can. If comics are no longer enjoyable for you (and they are supposed to be fun; remember, it’s entertainment) then it’s time to move on to other things. If you have nothing nice to say about comics as a whole, and not just a specific comic you found disappointing, please do us the favor of shutting up about it. You’re making the rest of us look bad. The world is a far too negative place as it is, your energy is better spent talking about things you enjoy. But that’s trying to reason to with the unreasonable, and the perpetually unsatisfied. It’s the main reason I will now be more cautious when talking online about the medium I love, something I could only have dreamed of having the capability to do when I was a little boy. That seems like a tremendous shame. Cranky Editor Man has to wonder how anyone reading comics for more than a few years still gets worked up about these things, remembers how people went insane when Bucky replaced Captain America, then went insane again when Steve Rogers came back. It's fiction, folks. There's other stuff worth getting pissed about. I talk more about it here. 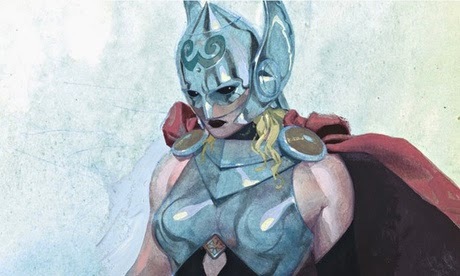 But in general, how can a Thor fan not look forward to badass unworthy Thor? Remember when Thor was a frog? Speciesists would've had a field day.